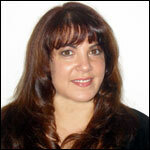 A member of the Eastern Bergen County Board of Realtors® and the New Jersey MLS (NJMLS) Multiple Listing Service, real estate agent Karen DeMarco combines an extensive background and experience in sales and marketing, professional involvement in numerous local communities, and a rapport-building personality. Karen is past President of the Edgewater Chamber of Commerce and a past officer of the Dumont Chamber of Commerce. In addition to an impressive knowledge of local properties, she regularly interfaces with government officials and business leaders in Bergen County and Hudson County both professionally and in furtherance of community and social concerns. An entrepreneur who purchased her first business at the age of 19, Karen has launched a number of business startups in sales and marketing, including a prominent local Internet advertising company. But perhaps her best quality is her ability to relate to, and build rapport with, every client she works with - buyers and sellers, renters and owners - out of her genuine concern and interest. For a real estate sales representative who takes YOUR interests and desires into consideration above all else, call Karen DeMarco today direct at 201-776-6762 or at Group Twenty Six LLC at 201-969-2626. Please share this post by clicking the below icons. You can also leave a comment. Information contained on this web site regarding specific properties, buildings, complexes, developments, etc. is provided for informational purposes only. Such information is not, and shall not be construed as constituting, advertising for any such properties or any available listings therein. This web site is not the official web site for any of the referenced properties, and unless expressly stated there is no exclusive relationship between Karen DeMarco and any of the properties for which information is provided herein. Copyright © 2013 Virtual Town Pages, LLC. All rights reserved and enforced. Unauthorized use / misappropration of any of the images, graphics, downloads, or other assets of this site is unlawful and will result in legal action.